Joel Feder January 31, 2018 Comment Now! 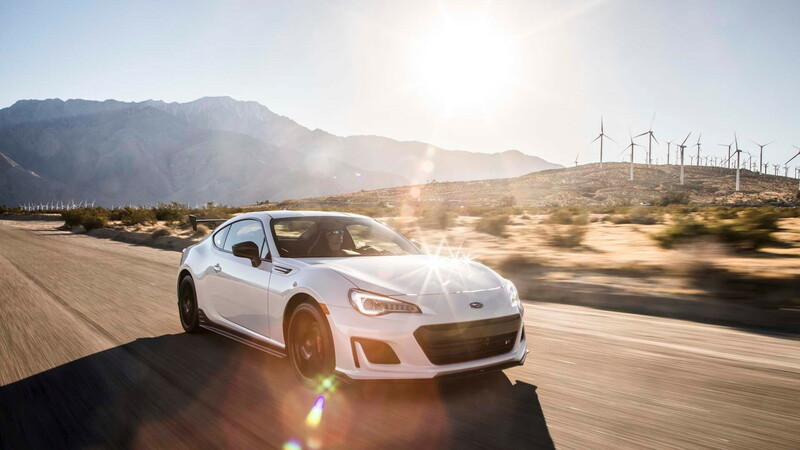 The Subaru BRZ has been focused on handling and fun since its introduction in 2011. Dynamic drivability comes naturally in a lightweight sports car, after all. For 2018, the STI-tuned Subaru BRZ tS sharpens its handling further—nearly to the point of leaving bare the car’s power deficit. The BRZ tS is immediately recognizable as something different. 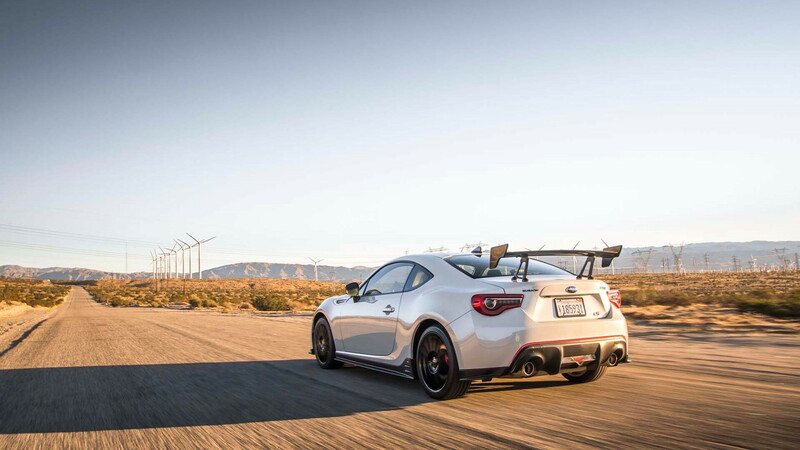 The boy-racer carbon fiber wing stands proudly off the rear trunk lid and screams for attention. It takes only two turns on twisty roads near Palm Springs, California, to know this BRZ is fundamentally different the BRZs before it. The BRZ tS sticks to the ground and digs in around a corner. It’s a new feeling for the car. Wearing its stock tires, the old BRZ instantly kicked its tail out at a hint of steering input. 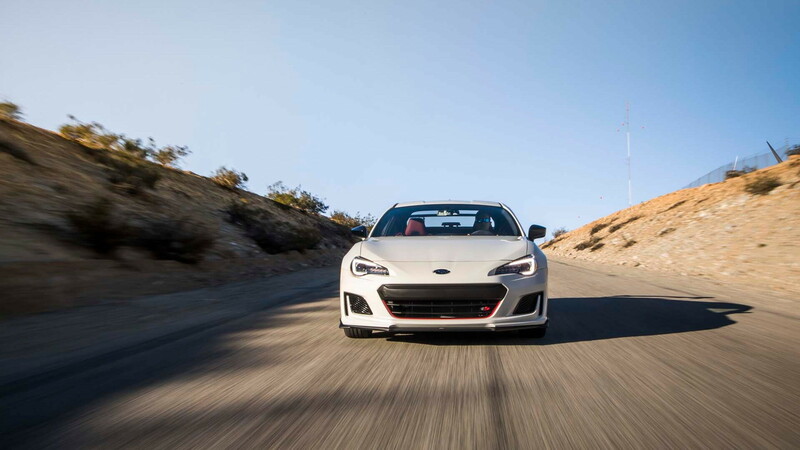 Bury the throttle and the new BRZ tS glues to the pavement thanks to its Michelin Pilot Sport 4 gumballs. Better? Sure. Quicker around a track? Absolutely. On the circuit at Thermal Club, the 64 percent increase in downforce in the rear and 87 percent increase in the front results in a more stable BRZ tS at speeds faster than 50 mph. Dive for the apex and the Subaru coupe is ready for more. Slow down and head over to an autocross setup in the tS and the extra grip is welcome—albeit at the expense of instant sideways fun—weaving around the coned course with confidence. While the extra grip increases confidence exponentially, it’s still possible to get the rear end out on the BRZ tS—just try harder. Those wanting to sacrifice sets of Michelin Pilot Sport 4s still can do so. Tires have been warned. 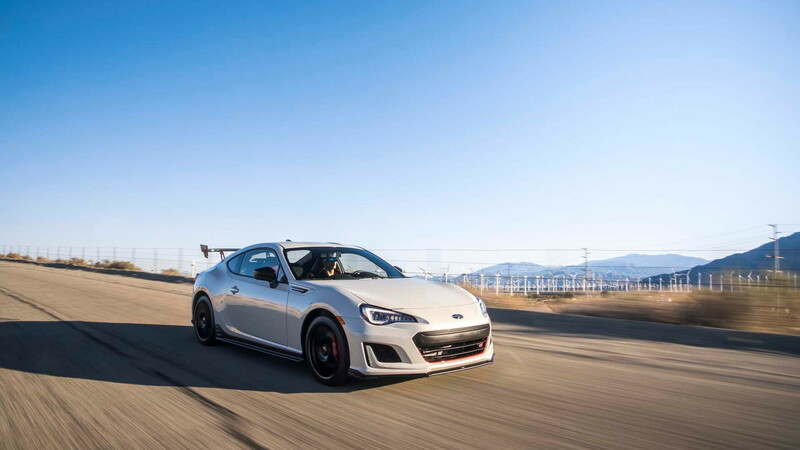 To give the BRZ tS increased stability and grip there’s a flexible v-shaped bar (this is proprietary tech to STI and does the job of a strut brace, but with a pillow ball at cowl bar to increase rigidity but reduce vibrations); STI-tuned SACHs dampers; Brembo performance brakes; 18-inch alloy wheels wrapped in Michelin Pilot Sport 4 rubber; flexible draw stiffener; and a massive carbon fiber wing. Visually, the tS is spiced up thanks to unique bumper covers; blacked-out mirror caps and roof antenna; tS badges; unique interior trim bits; and STI steering wheel, shift knob, and push-button start. Only 500 of the 2018 BRZ tS models will be built and each one costs $34,355. 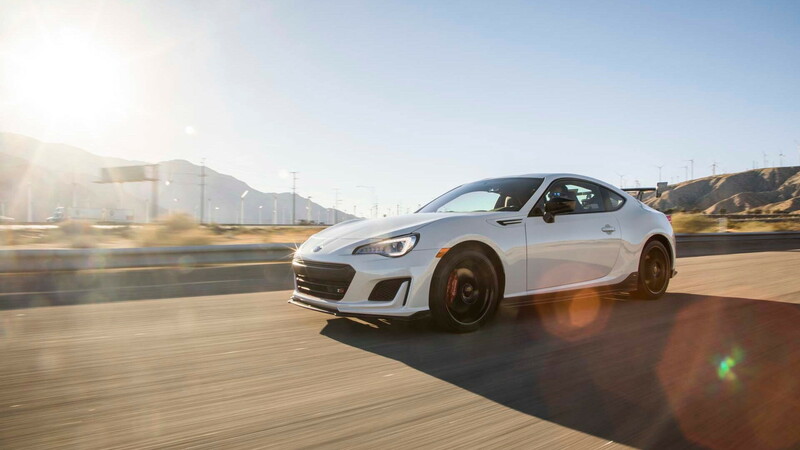 The goal with the tS version of the BRZ was to further realize the “pure handling delight” and extract the “maximum potential of the BRZ,” according to Subaru. It hit that target at the expense of leaving open the BRZ’s power issue, or rather, lack of boost to kick you in the pants. Now that the suspension and aerodynamics are so well-sorted, it’s finally time for a turbo.